Looking to shake-up and kick-start your weekend? On Friday 12th April & Saturday 13th April, Tough Mudder returns with the first of its city-based, Tough Mudder 5K Urban (mud-free!) events in Finsbury Park, London. 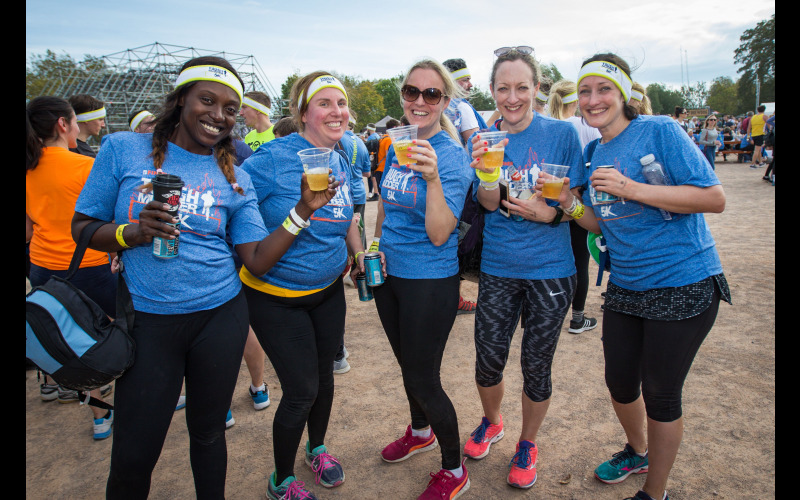 Tough Mudder are giving you and a friend a chance to experience the first event of the season with entry to the 5K, food & drink vouchers and a finishers T-shirt, all worth over £120. Tough Mudder’s 5K Urban events have been upgraded in 2019 and will feature 13 awesome obstacles, including 3 brand new innovations to elevate your weekend. Mudder fans old and new will be greeted with returning favourites, Next Level, Pyramid Scheme and Everest and will have to work together to pull and push teammates and new friends alike up and over these challenges. Once you’ve completed the course, it’s anything but game-over as the electric atmosphere continues. Celebrate your achievement with a BrewDog beer (2019’s finisher drink) and soak up the festival-style set up which includes a delicious selection of street food stalls, a live DJ, photo opportunities and plenty of party vibes.